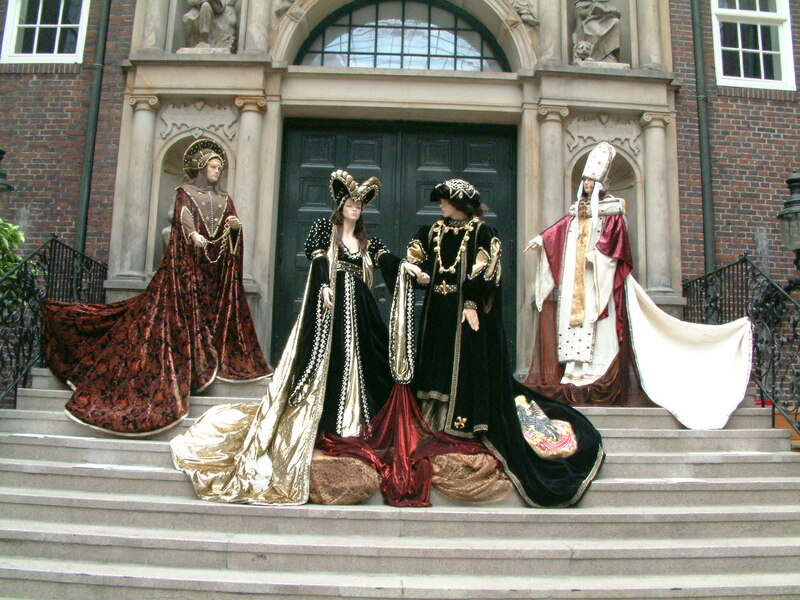 In the Renaissance the draped clothes with straight stitching -typical of the previous centuries - were replaced by curvier, more irregular stitching, while the birth of tailoring and 'fashion' allow clothes to be more adherent to the contours of the body. Embroidery, trimmings, borders, pearls and gems applied on lavish dresses make dresses true works of art. Doublets, giornea, gabbane, hooded cloaks, socks, pants, gowns, are just some of the many accessories in the wardrobe of a noble of the sixteenth century.